Rich Gedman’s hunger for baseball never left him, even after his playing days ended. 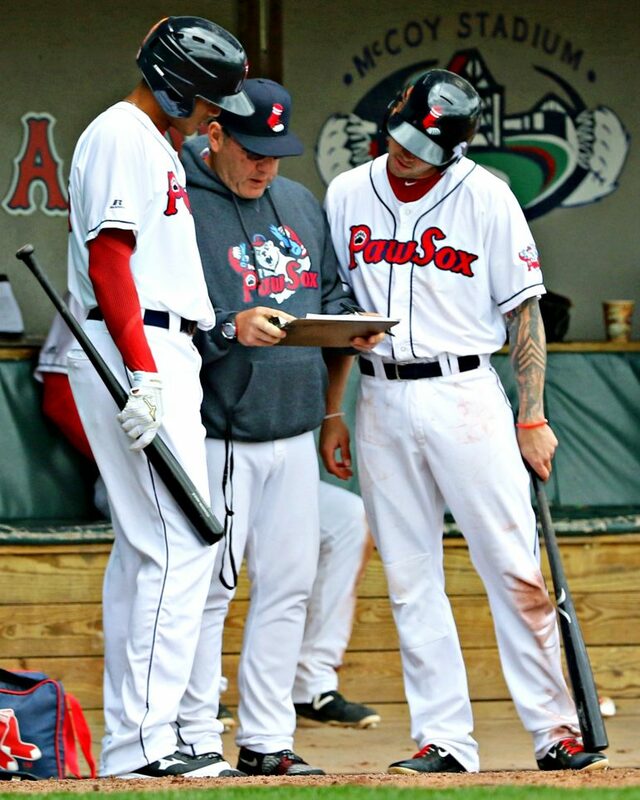 The Worcester native and former Major League catcher, who spent parts of 11 seasons with the Boston Red Sox, is now in his fourth season as hitting coach for the Pawtucket Red Sox, Boston’s Triple-A affiliate. He also works with the team’s catchers to prepare them for the majors. 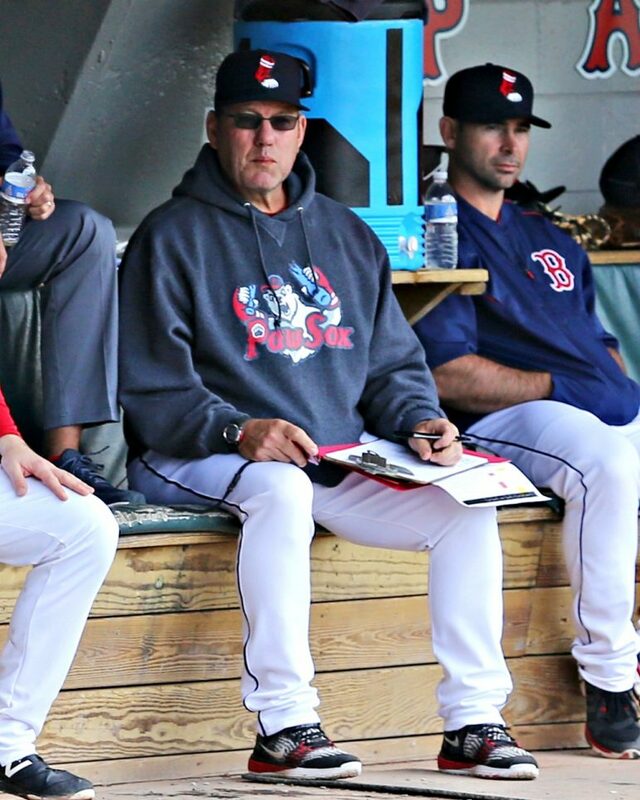 Gedman, now 57, rejoined the Red Sox organization in 2011 as hitting coach of the Lowell Spinners’ Red Sox Short-Season affiliate after nearly a decade of coaching and managing in the Can-Am League with the North Shore Spirit and Worcester Tornadoes, both of which are now defunct. For Gedman, the idea of coaching came from helping the teams of his sons, Mike and Matthew, when they were growing up. Now, that hobby is part of the reason why the Boston Red Sox, who are heavy on homegrown position player talent, are among the favorites to win their division and contend for a World Series title this season. “It’s a steady presence,” PawSox manager Kevin Boles said of Gedman. “Yes, he’s been there as far as his major league playing career. He’s been in some great moments in Red Sox history, but you know what you’re going to get with Geddie every day of the week. He doesn’t waver. Understanding the importance of depth and using every player to their maximum potential, Gedman said it is important for him to work closely with all of his team’s players. Rich Gedman, players attest, is always available to pass on insight from his 13-year big league career. Being a Triple-A coach, Gedman works with a roster of players that constantly changes. There is the potential for promotions from Double-A and, more often, demotions from the big leagues. Although there are a handful of players who have been on the PawSox for a few years, Gedman said he enjoys the challenges his job brings him, regardless of who he is trying to help. Looking at the Red Sox major league roster, their two current catchers, Sandy Leon and Christian Vazquez, both spent parts of a couple seasons with the PawSox working closely with Gedman to become more well-rounded ballplayers. Pawtucket’s veteran catchers, Blake Swihart, who was the big-league club’s primary catcher for much of 2015 and its Opening Day catcher in 2016, and Dan Butler, who had a pair of MLB stints for the Red Sox in 2014, said Gedman has played a major role in their development as ballplayers, and they enjoy working with him. 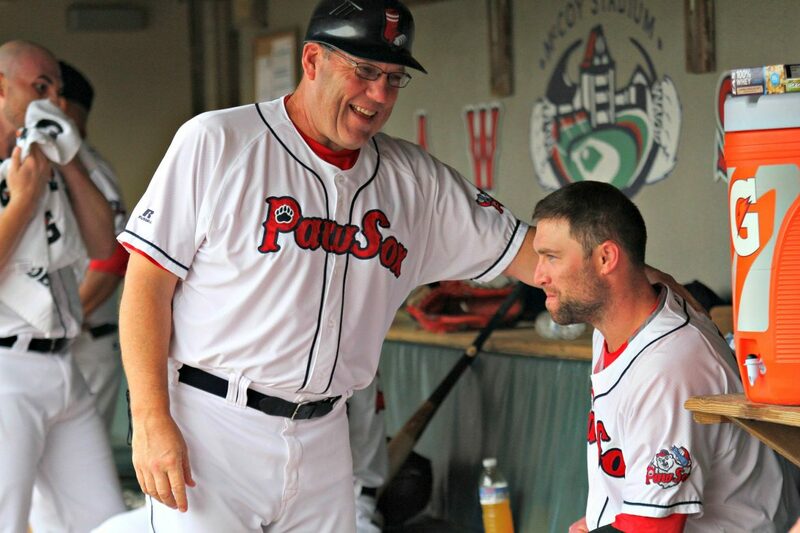 Rich Gedman has become a “steady” presence and important figure in the PawSox dugout. Gedman also worked with 2016 All-Star outfielders Mookie Betts and Jackie Bradley Jr. during their PawSox tenures, among several other MLB talents. Of course, Gedman lived out that same dream he is trying to help his players achieve. Unlike most of them, however, Gedman earned the opportunity for the team he rooted for while growing up in Worcester, where he was a star first baseman and pitcher at St. Peter-Marian. “For some, it’s a Disney story when you sit there and you think a kid from Worcester, who lives 40 miles from Boston, gets a chance to play in the major leagues,” Gedman said. “And not only that, but to play for the Boston Red Sox for almost 10 years. It’s pretty special. During his playing days, Gedman, who spent 13 seasons in the big leagues, was a two-time all-star (1985, ’86) and played a major role in the Red Sox’ 1986 American League pennant win and World Series appearance — one of the team’s four losing World Series appearances (Boston also played in the Fall Classic in 1946, ’67 and ’75) during its 86-year championship drought that ended in 2004. Indeed, Gedman batted .357 (10-for-28) with 6 RBI in Boston’s American League Championship Series win over the California Angels. Earlier in that all-star season, Gedman is remembered as the batterymate for Red Sox ace Roger Clemens’ historic 20-strikeout performance against the Seattle Mariners — a regulation-game standard that has since been matched thrice: by Clemens again in 1996 against the Detroit Tigers; by Chicago Cubs rookie Kerry Wood in 1998; and the Washington Nationals’ Max Scherzer in 2016. 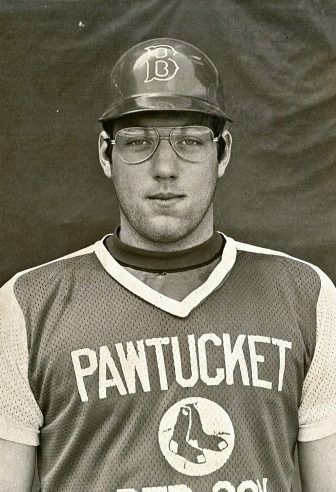 Rich Gedman, back in his Pawtucket playing days. Gedman was essentially the successor to Carlton Fisk in Boston. He might not have been the first guy to earn the starting catcher’s job after the Hall of Famer infamously skipped town for Chicago following a contract dispute, but he ended up being the solution to give the Red Sox a steady backstop. While Gedman’s achievements stand out, much of his family is athletic. His sons, Mike and Matt, both played professional baseball (and have become coaches) while his daughter, Marissa, plays pro hockey for the Boston Pride of the National Women’s Hockey League. Even so, Gedman said his wife, Sherry, is the more athletic parent. She was a standout softball and basketball player at St. Peter-Marian, where they met, and at the University of Connecticut. With that deep background in sports, it’s not much of a surprise that Gedman’s second career yet again involves following his passion. “I have [a] limited vocation,” Gedman said. “Baseball is something that’s clear to me. Other times, it’s cloudy. But mostly, it’s pretty clear,” he said. “But when we’re talking about hitting, that’s something I’m familiar with. I was around some good people in my time. Certainly the coaches and hitting coaches in this organization prepped me well for it. Certainly, life experiences did that too.